Blair offers the All-Season Fleece Blanket in 25 colors for $12.99 . Free shipping via coupon code "BQPX". 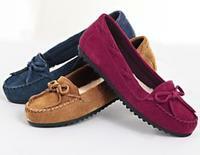 Blair offers the Valley Lane Suede Driving Moc for $9.97. Free shipping via coupon code BQFN. Blair offers the Irvine Park Men's Kidskin Oxford Shoes for $14.97. Coupon code "BPEB" bags free shipping. 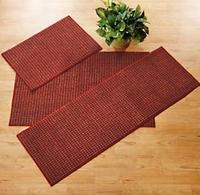 Blair offers the San Juan 20" x 30" Utility Rug in four colors,for $9.99. Coupon code "WTAFN" drops it to $7.49 with free shipping. Blair offers its Blair Women's Tiered Lounge Dress in Black or Blue Lagoon for $14.97. Coupon code "BPEB" gets free shipping. 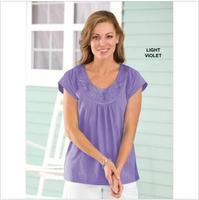 Blair offers its Blair Women's Lounge Dress for $14.97. Blair offers this Totes Women's Quilted Jacket for $15.99 with free shipping via coupon code "BNWC". Blair offers Diamond Embellished Top (Turquoise S only) for $2.99 via Coupon code bnwc with free shipping. Blair offers this Blair Women's Nylon Fully-Lined Crinkle Jacket in Magenta or Navy for $11.99. Coupon code "BQMS " gets free shipping. Blair offers the Totes Women's Ruffled Rain Jacket in Lemon Drop,for $14.99. Free shipping via coupon code "BNWC". 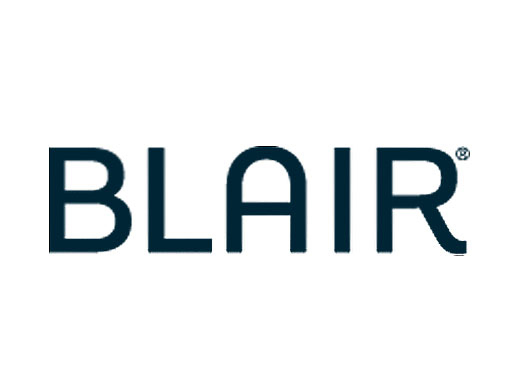 Today only (Oct 24), until 10 pm ET (with a break between 4 pm and 5 pm ET), Blair takes 40% off entire site, including clearance items, via coupon code "BQT". Blair offers the Scandia Woods Men's Insulated Parka in Brown or Navy for $17.99. Free shipping via coupon code "FSQ". Blair offers this Men's Classic Narrow Faux Leather Belt in Brown or Black for $5.99. Bag free shipping via coupon code "QRC". Blair offers this Scandia Woods Men's Leather Bomber in Crimson, Coupon code "HQA" drops it to $28.80 with free shipping. Blair offers this Scandia Woods Men's Leather Bomber in three colors (Crimson pictured) for $35.99. Plus, bag free shipping via coupon code "QLK". Blair offers this Flash Dry Towel 6-Piece Set in four colors for $14.99. Plus, bag free shipping via coupon code "NGJ". The set includes two 30" x 54" bath towels, two 18" x 28" hand towels, and two 12" x 12" washcloths. Blair offers the Two Twenty Women's Fleece Jacket in Ginger or Blue for $8.99. Coupon code "CRQ" yields shipping of 99 cents. Blair offers this Portable Hammock for $34.99. Coupon code "NJD" drops it to $20.99 with $7.99 for shipping. Blair offers the Scandia Woods Men's Insulated Parka in Brown or Navy for $23.99. Coupon code "QLA" yields free shipping.